Lazy Seamstress: I won something! 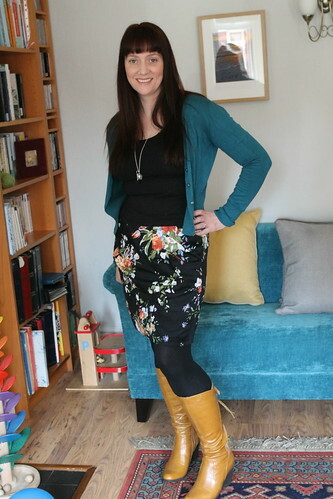 This February I took part in the February Frockery Challenge. I tried to wear something vintage, second hand or hand made every day of February. Honestly I didn't manage every day. I was poorly for a few days and decorating for others. I didn't realise when I took part that there would be prizes for the best frockers, so I was really surprised and excited to find out earlier this week that I'd won! Thank you so much to the fabby Alison at The Frockery. I can't wait to receive my parcel full of vintage goodies. Check out the gorgeous runner up too. Cassy has such a great style.